University of Florida graduates and Florida State University donors filed now-combined class action lawsuits contending the state's failure to provide matching funds for programs has undermined educational opportunities and violates a contractual obligation. Lawyers for the state argued Monday that courts cannot compel the Legislature to provide matching funds for $460 million in private donations to Florida universities and state colleges. Asking for a lawsuit to be dismissed, Andy Bardos, representing the Florida House and Senate, said the separation-of-powers doctrine prevents a judge from ordering the Legislature to come up with more than $600 million under Florida's matching-gift laws, which have been suspended since 2011. "What they seek is an order commanding the Legislature to appropriate funds in the future. We contend, your honor, this is beyond the power of the court," Bardos told Circuit Judge Charles Dodson in a Leon County court hearing. University of Florida graduates and Florida State University donors filed now-combined class action lawsuits contending the state's failure to provide matching funds for programs has undermined educational opportunities and violates a contractual obligation between donors and the state. The programs pay for new campus facilities and scholarships. "They created these statutes to encourage giving. 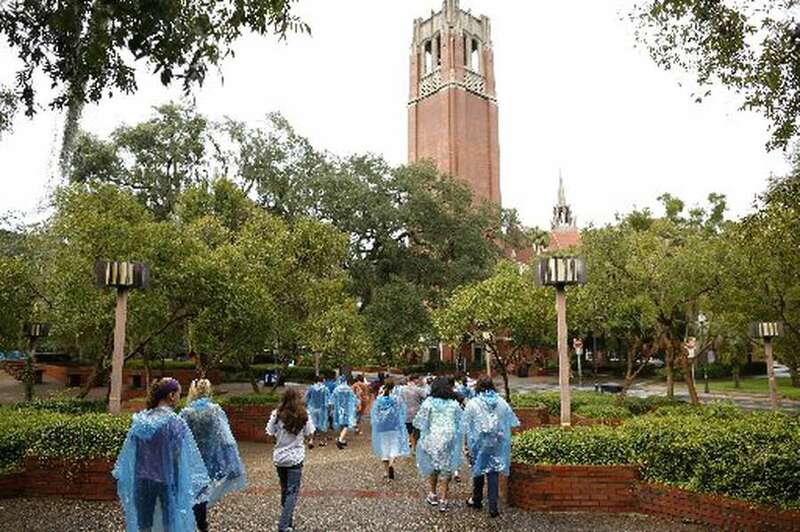 And they were massively, massively successful," said Grace Mead, a lawyer representing the FSU donors and UF graduates. "Were they a private party, not only would we be here suing for breach of contract, we would be suing for fraud." Facing a tight budget during the recession, the Legislature cut back on funding for the matching-grant programs and then suspended the initiatives in 2011. The programs include two construction-related funds, the Alec P. Courtelis University Facility Enhancement Challenge Grant Program and the Florida College System Institution Capital Facilities Matching Program, as well as the Dr. Philip Benjamin Matching Grant Program and the University Major Gifts Program. Under the 2011 law, the programs cannot be restarted until a backlog of $200 million in donations for the Courtelis program and the other three matching-grant programs have been matched. Mead characterized the Legislature's decision to halt funding for the matching programs as a failure to carry out a contract, similar to the state contracting to build a prison. "When an agency is authorized by statute to do something which necessarily required entering a contract, the state is bound by that contract," Mead said. But Jordan Pratt, a deputy solicitor general with the Attorney General's Office, said the contract claim is flawed because the agreement was between donors and the university or state college and not the Legislature. He said there is no legal precedent for someone contracting with one state agency and then suing "an entirely distinct agency." Dodson questioned the state lawyers closely about their claim that despite the matching-grant laws there was no obligation by the state to fund the programs. If the funding is discretionary, Dodson asked: "Why did they need to do a suspension?" Bardos said the suspension, which took place on June 30, 2011, "put people on notice" that future donations may not be matched and argued that the Legislature has the sole discretion to fund or not fund the programs. Mead said the matching-gift laws are not discretionary. 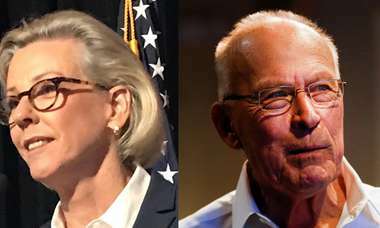 "If that were true, the statutes would have said the state has no obligation to match a single dollar contributed by a single donor for a single college or university program," she said. "They don't come close to staying that." Mead said statutes spell out the need for the scholarship and building programs, and the statutes collectively use the "the words shall or must" 76 times. "Absent the obligation to match, it has no incentive. It's not simply a tracking program." Mead said. "It is in fact a command to match." Dodson gave the lawyers for the state and the matching-gift proponents until Jan. 5 to file proposed orders in the case. His ruling will come sometime after that.